At CREmedical, we invent new technologies that help us understand the brain, and diagnose and treat brain disorders. We are the pioneer of tripolar concentric ring electrodes (TCREs), which offer a radical improvement over the existing electrode configurations. Our TCRE based electroencephalography (tEEG) sets a new standard for physiological sensing and brain-computer-interface. Our TCRE based transcranial focal electrical stimulation (TFS) provides a new paradigm for neuromodulation. Our integrative tEEG+TFS platform creates new capacities to image brain function and modulate the brain state. Walt Besio is the founder of CREmedical and the inventor of TCRE, tEEG, and TFS. 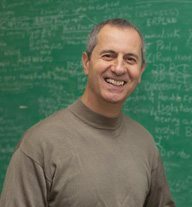 He has spent the majority of his research career investigating the concentric ring electrode technology platform and its various applications by conducting mathematical analysis, computer simulations, and experiments on human subjects and animals. Walt is passionate about turning his inventions into products that help relieve disease, disability, pain, and suffering. Besides leading CREmedical, Walt is a Biomedical Engineering professor and a co-founder of the Interdisciplinary Neuroscience Program at the University of Rhode Island.